Item # 312412 Stash Points: 5,495 (?) This is the number of points you get in The Zumiez Stash for purchasing this item. Stash points are redeemable for exclusive rewards only available to Zumiez Stash members. To redeem your points check out the rewards catalog on thestash.zumiez.com. 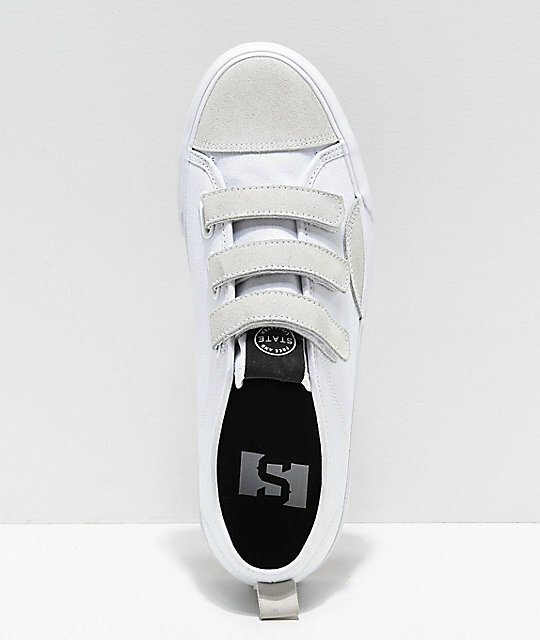 A testament to State's focus on providing streetwear appeal packaged in a classic silhouettes, the brand introduces their Harlem Strap White Canvas and Suede Skate Shoes. 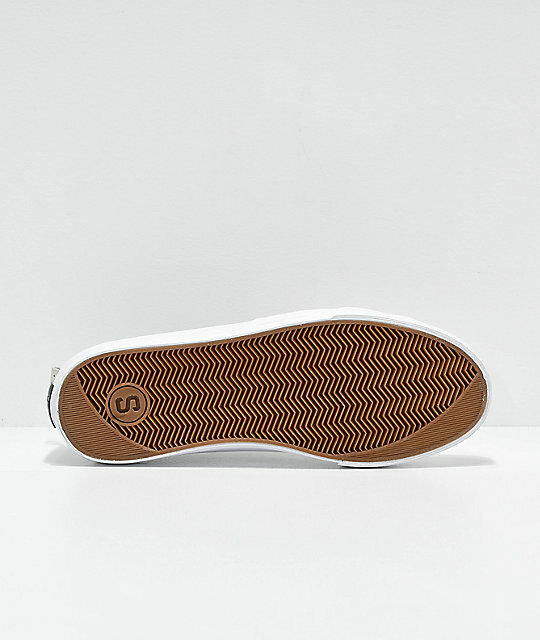 This vulcanized sneaker offers low-profile skate performance that's been constructed of mostly canvas, while suede trim is found along the toe cap, ollie side panels and upon the hook-and-loop fastened closures. With an overall blucher shoe personality, the Harlem provides a classy look worthy of daily outfits and skate-inspired looks. 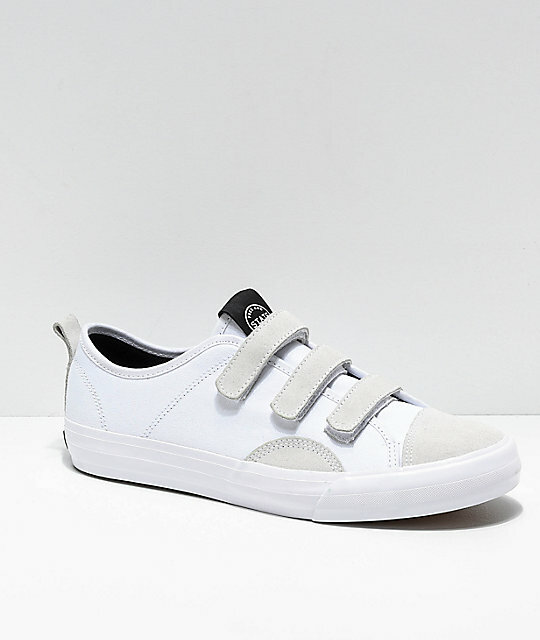 Harlem Strap White Canvas and Suede Skate Shoes by State. 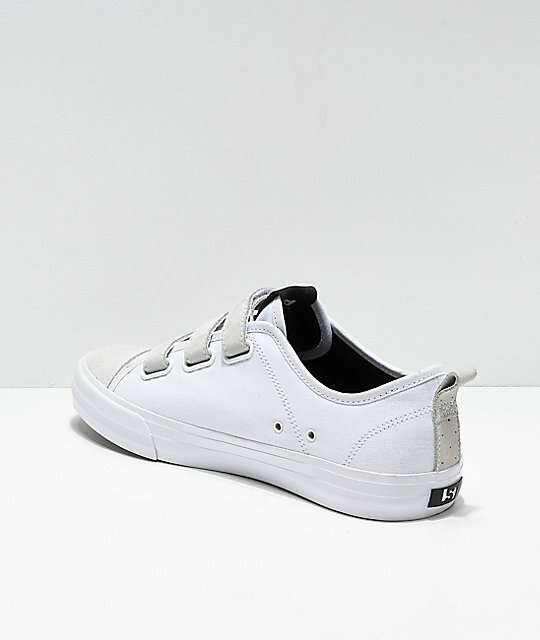 Canvas and suede upper with double stitching throughout. Suede heel tab for easy on-and-off access.